See our News & Announcements for the date of the next Instructors’ Class. 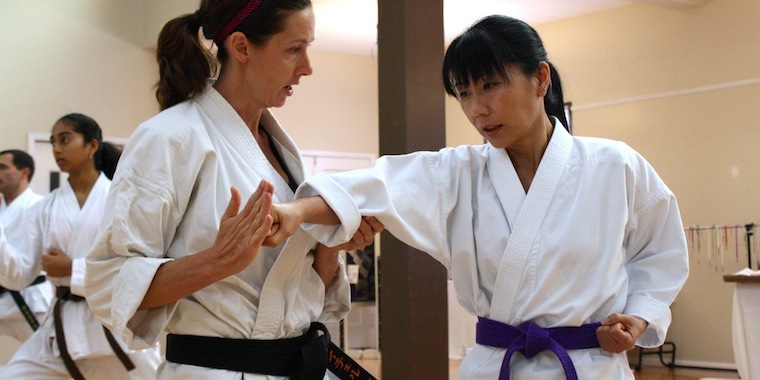 To raise the level of instructional quality among those te aching traditional karate (particularly JKA-style Shotokan, but not exclusively) in the Silicon Valley/San Francisco Bay area. One or two 1-hour sessions – physical workout; possibly kata practice, kumite strate gy, steps to teaching a given technique, etc. The focus of the classes is on improving teaching skill and technical skill and understanding. All JKA-style black belt holders are welcome to attend, regardless of organization/affiliation. For some sessions, non-Shotokan black belts are also welcome (please contact SVSK chief instructor Jon Keeling if you’re interested). As for the instructors who lead the sessions, our goal is to favor a high level of teaching skill over years training or popularity. There is a nominal $25 fee. If you have ideas for upcoming instructors’ classes or are interested in leading a session, please get in touch with a short proposal of class subject, general class structure, etc. as early as possible. Instructors are chosen about one month prior to the class.